the best of your fantasy! 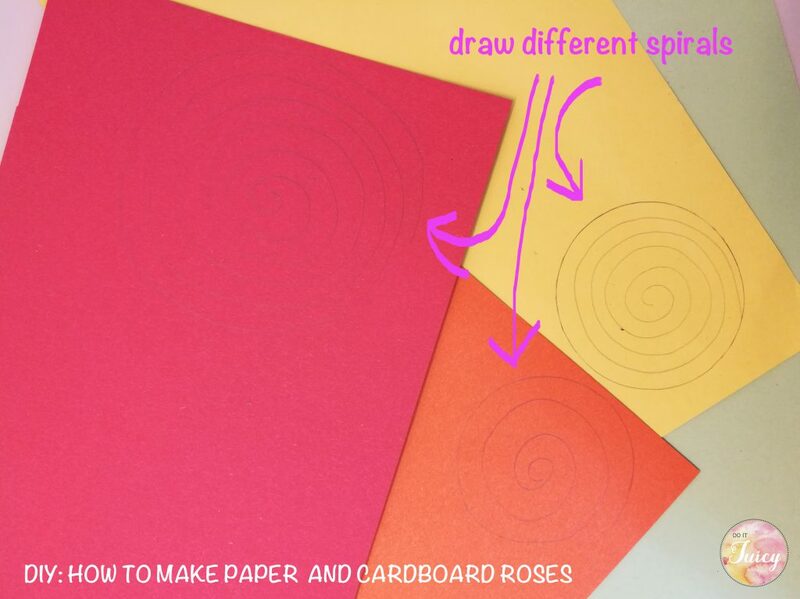 First you have to draw different spirals with a pencil, you don’t have to be precise (i’m not!). Make different circles in dimensions. 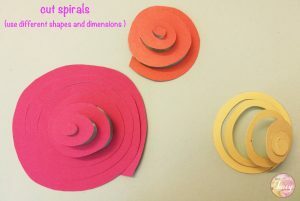 2) Then use scissors to cut spirals, follow the picture above. 3) Start to roll tightly from the end of the shape going inside. Is even more easy to make them then to explain it with words, so please take a minute and try to make one. 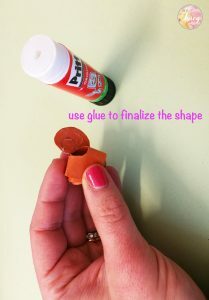 4) Finally glue the end of the shape and finalize the rose. 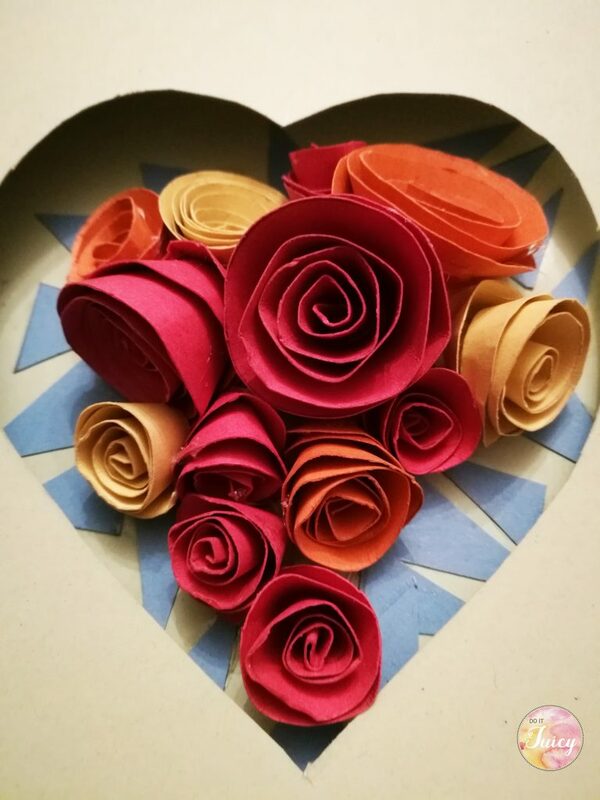 Roses of the picture are made with a thin cardboard. That’s all folks! Isn’t it easy? 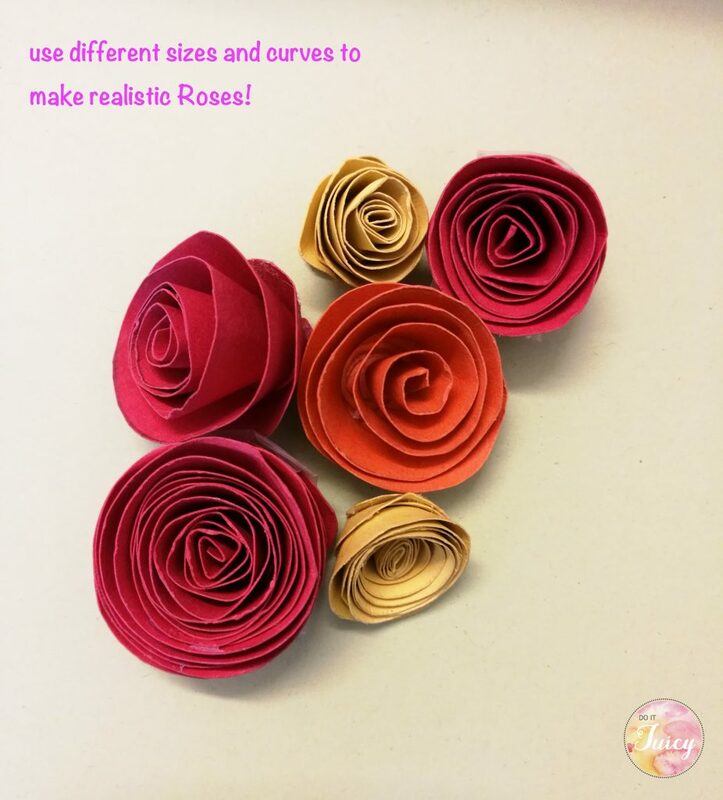 Then enjoy making more of them , this will help you to make a big roses bouquet. 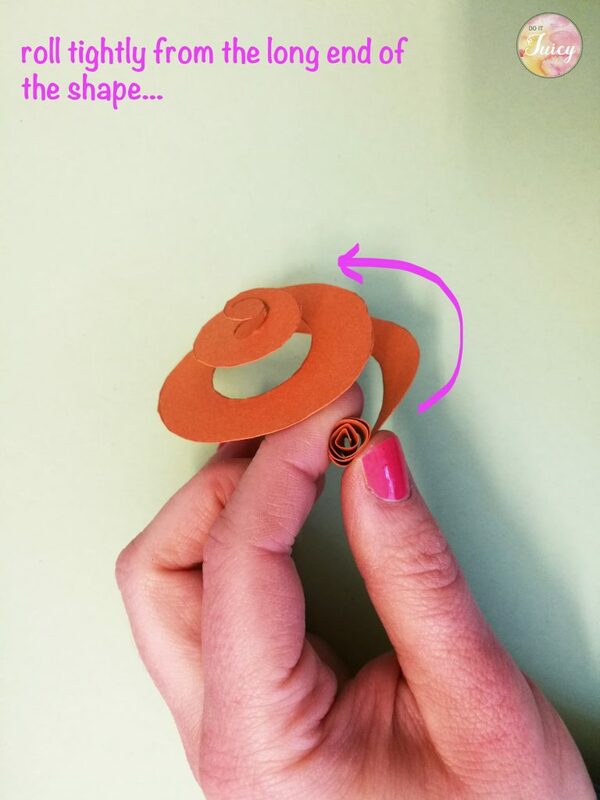 I like this DIY because there is no limit to the roses dimensions! 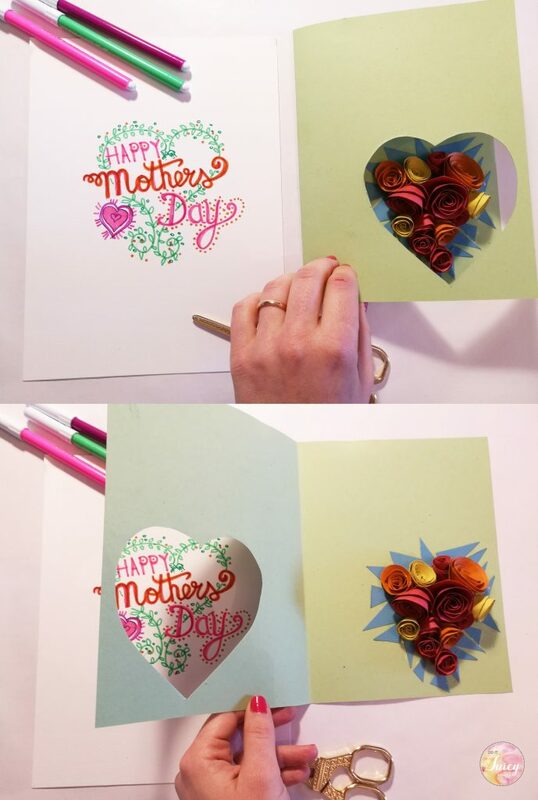 In this second part i’ll show you my idea of a greeting card for Mother’s day party. You only need to choose an A4 cardboard of the color you like: i think green is a good solution for my bouquet. Then fold it in an half. Following more picture of my card. 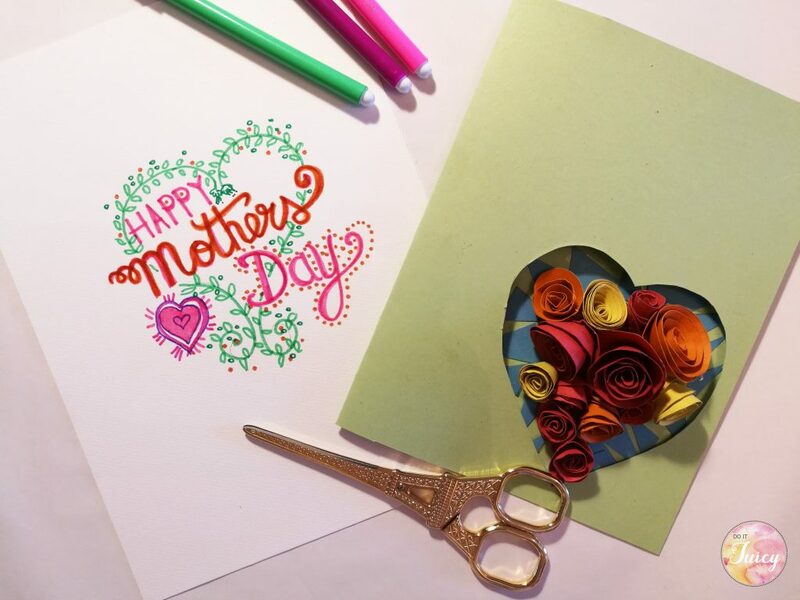 I cut out an “heart” because i think is the perfect solution to express your love for your mom! 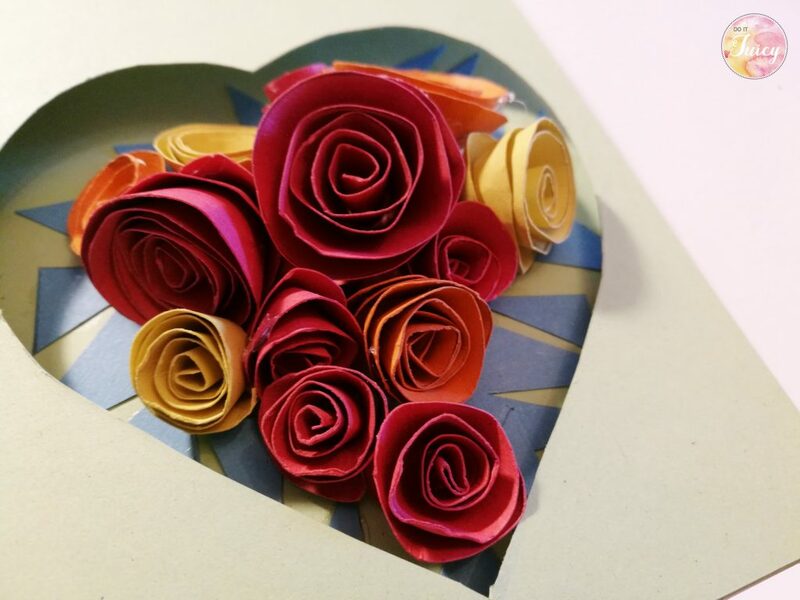 Then arrange and glue roses inside it. ps. 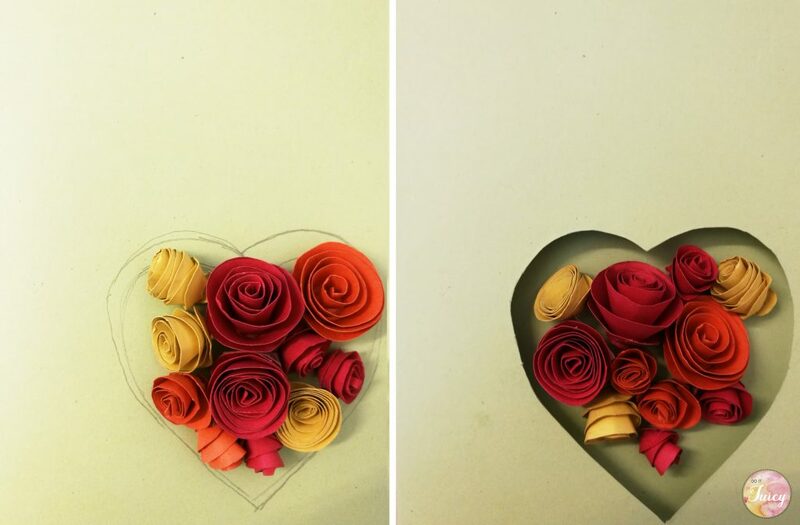 How many ideas can you realize with paper roses? Please share this post and write me, i’ll be happy to help you to realize your ideas!!! Pingback: Pimp your Lamp, easy DIY project : restyling in progress of an old lamp .